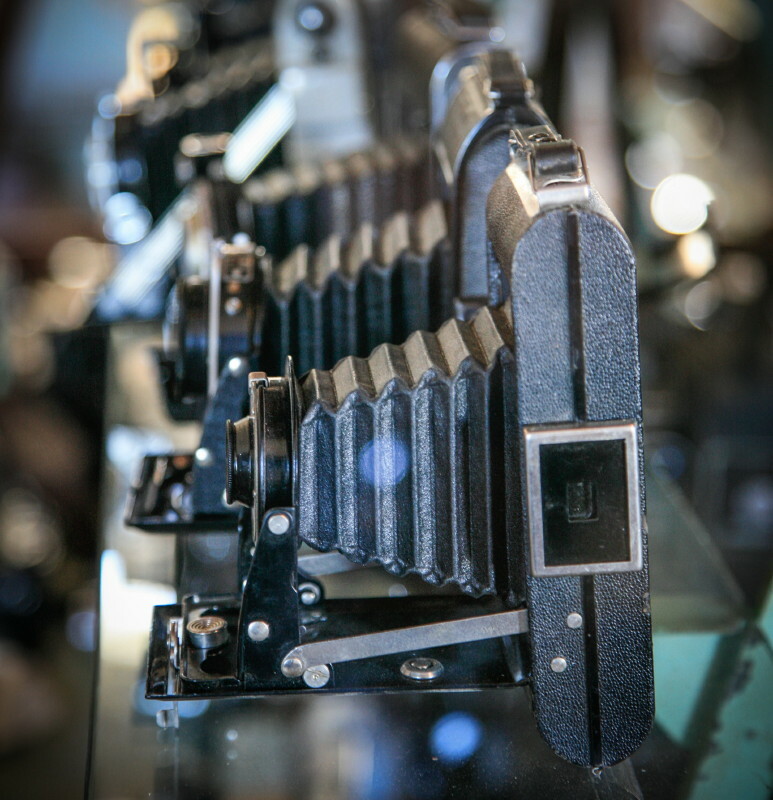 A selection of 12 images that made 2015 a special year for Karoo Space. Welcome to the Karoo Space Annual Review, which highlights a dozen assignments, events and special features that filled the year to the brim. 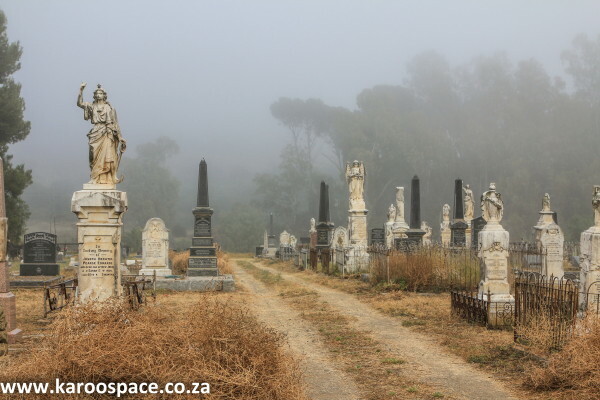 There are few places spookier than the Cradock cemetery in the mist. The Cradock cemetery is a place where, when the morning mist drops, you might just spot the ghosts of soldiers, explorers, nuns, geologists, rugby stars and those who fell to the Spanish Flu of 1918, all sitting down for breakfast among the tombstones. Wheatlands – where you sleep in a majestic old feather palace. If you like country cricket, sleeping over in a feather palace, wandering around an ancient farmstead or lying toes-up in a shady spot with a good book, hotfoot it across the Plains of Camdeboo to Wheatlands Country House. The rain falls heavy in Pearston – the drought breaks and the kids play. 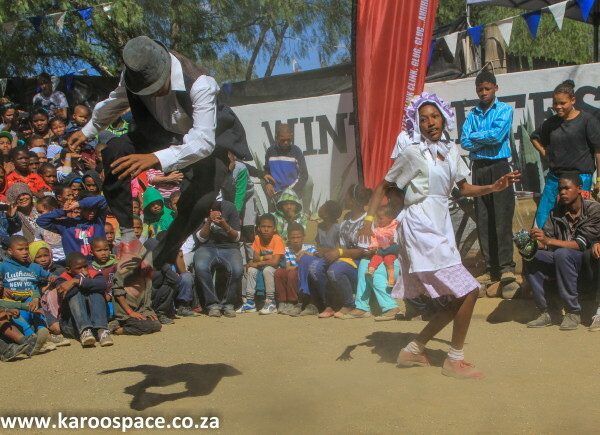 In February, Karoo Space drove over the Swaershoek Pass to the village of Pearston, where Bundu Gas & Oil were meeting the local community. The area was drought-brown and the talk was all about water resources. 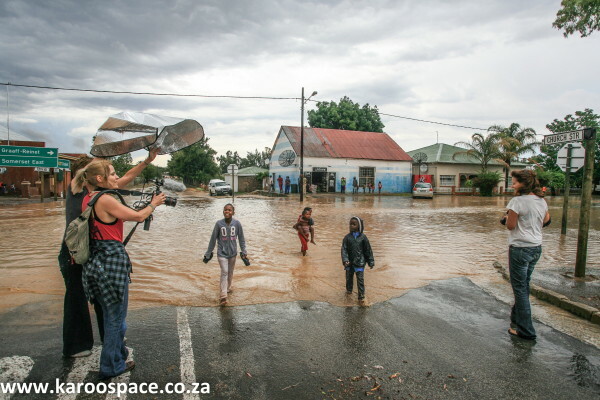 As if to make a Cosmic Point, the heavens opened up, the main road became a river, the local kids went ballistic and a TV crew finally had something juicy to film. Springbok on the trot up at the Mountain Zebra National Park outside Cradock. Daryl and Sharna Balfour, world-renowned wildlife photographers and safari supremos, came to visit Karoo Space in the autumn. 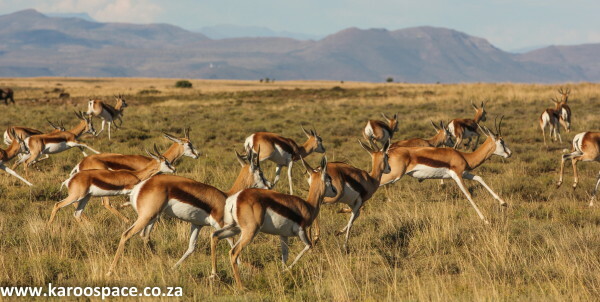 Jules and Chris showed their old friends the fantastic Mountain Zebra National Park and the trekbokke up on the Rooiplaat Plateau Drive did not disappoint. One of the main attractions at the Stars of Sandstone event outside Ficksburg. 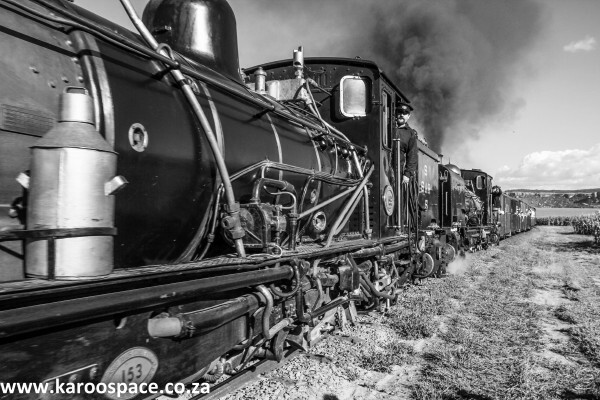 The team spent two days at Sandstone Estates outside Ficksburg living, breathing, dreaming and photographing graceful old steam locomotives as they chugged across some of the most incredible landscapes the Eastern Free State could offer. 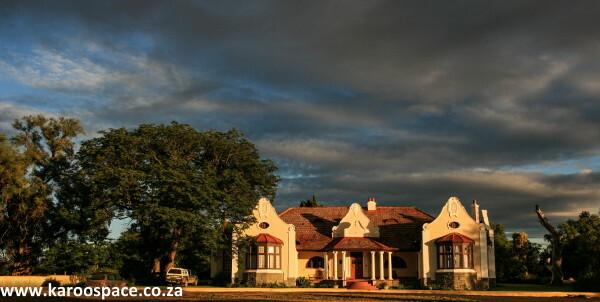 The glorious Baker Buildings of Jagersfontein at first light. 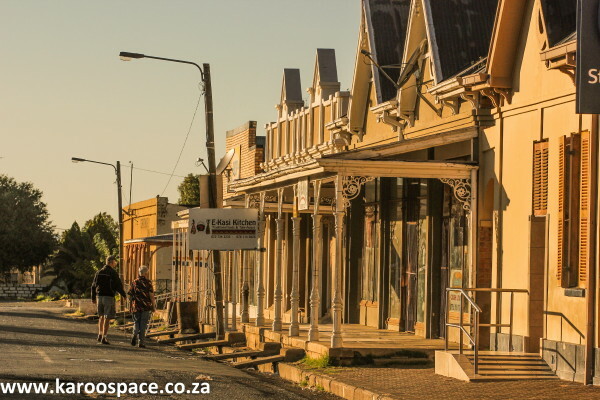 Drive through the southern Free State town of Jagersfontein at midday and, apart from a couple of dust devils, you might see little to fascinate the eye. But wander around its main street at dawn when first light falls on the Herbert Baker Block of shops and you’ll quickly see the magic. The Soggy Bottom Barefoot Boys in full cry at the Fugard Fest in Richmond. 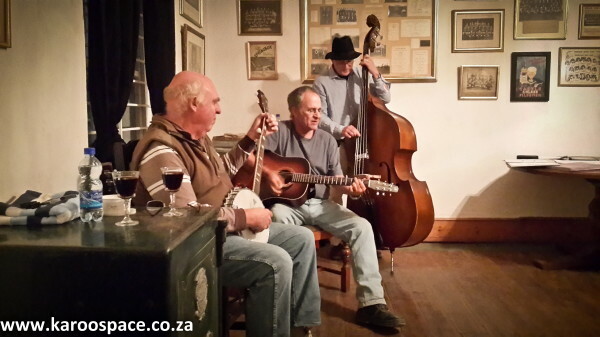 A great time was had by all at the Fugard Fest in Richmond in May, when Anthony Osler with his double bass and Ginger Seipp with his duelling banjo joined strummer Chris on stage for a one-night-only show of the Soggy Bottom Barefoot Boys. It also didn’t hurt that Karoo Space and Karoo Keepsakes were major award-winners at the event. 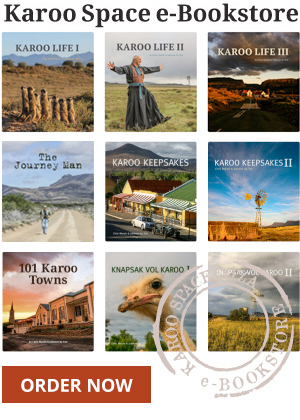 Karoo Central – digital marketplace for the heartland. Julie started to build a digital ‘Classified’ section. Very early in the process, it won praise from a completely unexpected quarter. Chris, on the other hand, has been itching to do this book for years. It’s a collection of rollicking reporter’s stories from his good old bad old days at the legendary Rand Daily Mail and the infamous Scope Magazine. Make the Williston Winter Festival part of your epic Route 63 road trip. On a springtime wander westwards for a fortnight or so, Jules and Chris discovered the seductive joys of Route 63 – an epic road trip that reads like a relaxing silent movie. But with windmills and meerkats in attendance. 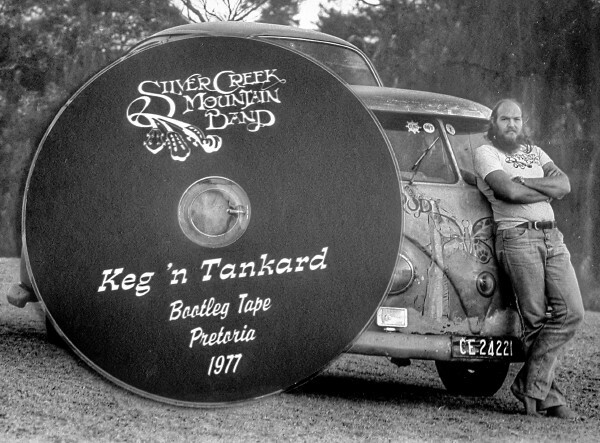 A young Rod Dry, a split-window Kombi – and the newly uncovered 1977 Silver Creek Mountain Band Bootleg. In November, something equally momentous arrived at the Karoo Space offices, in the form of Rod Dry, leader of the Silver Creek Mountain Band. He had been given a bootleg CD of a Creek performance from one memorable night in 1977. 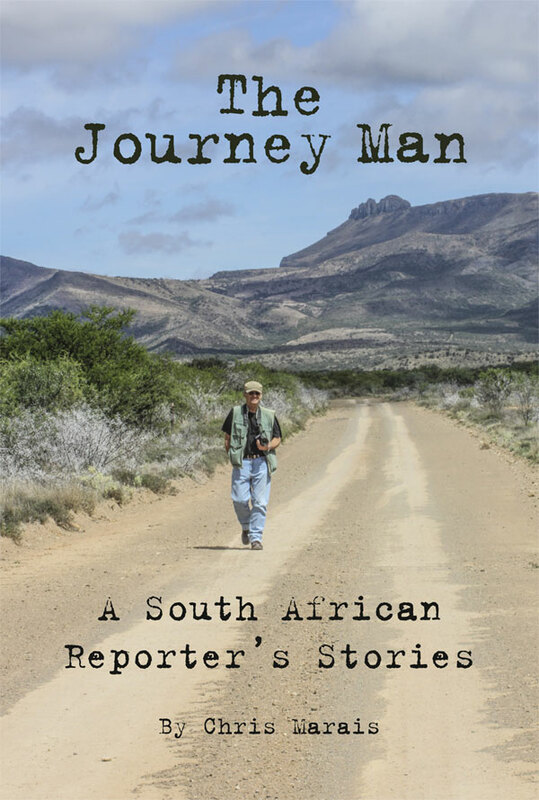 Because the Journey Man has a very strong Creek connection, the bootleg joined the book in a very special package for a small group of Baby Boomers who still remember. 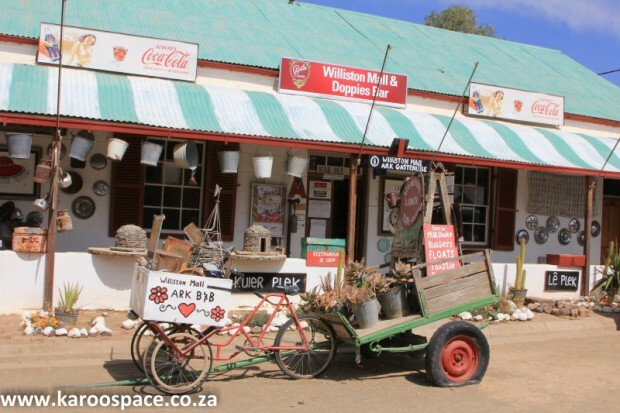 The Midland Bat bears the winning names of many of the farming families in the Cradock – Bedford area. 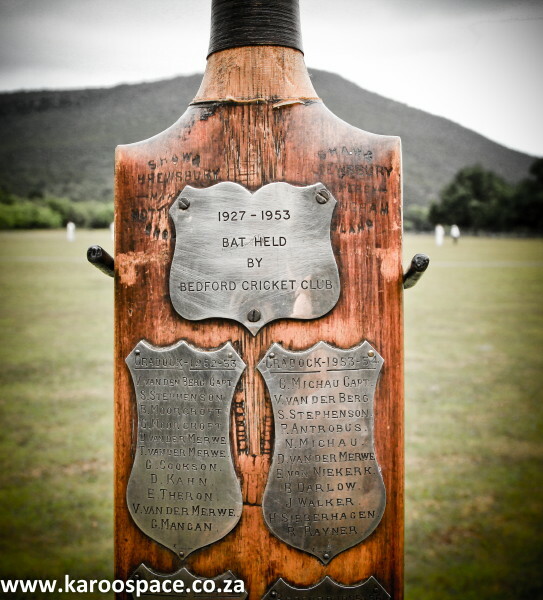 The Karoo Space 2015 tailed off marvellously under the ancient oaks at Spring Grove Farm outside Bedford, where the local Cradock team (Standard) vied with a Bedford side for the Midland Bat, arguably the oldest active cricketing trophy in the country. Well done Chris and Julie! A brilliant look at the year that has past… We’re just back from a 5000km road trip around South Africa to paddle a small section of the mighty (although is very low right now) Orange River, cruise part of the West Coast to Cape Town and then head home via central SA. And boy, did the severity of the drought ravaging our beloved country hit home – hard… It’s so easy to sit here in KZN where, although we’re also short of water, it still rains most afternoons, enough to keep our rainwater tanks full and where we still have to mow the lawn once a week; to forget how tough life is without water… Our hearts go out to the folk in the drought stricken areas!